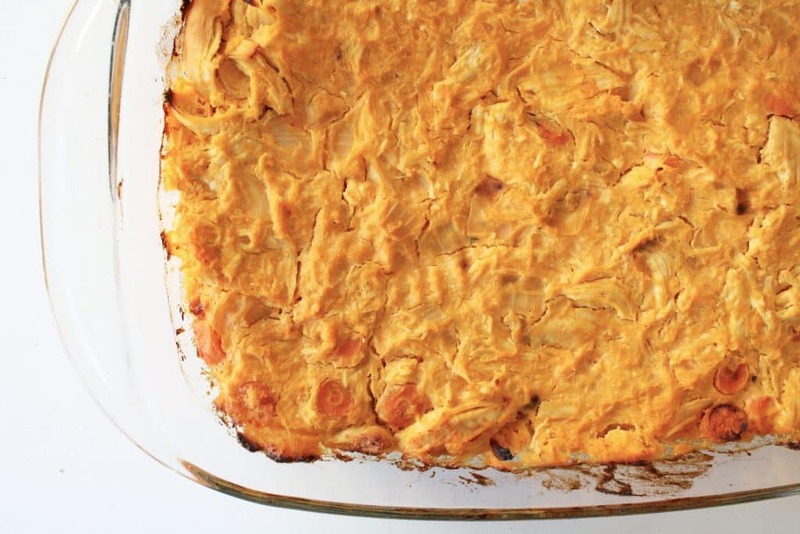 Super simple to make and keto-friendly, this Buffalo Chicken Casserole is going to be a real family favorite! Here’s a fairy tale scenario for you: combine all of the most delicious, clean ingredients you can think of in a casserole pan, bake it, and everyone lives happily ever after… the end. Well, you’re in luck. Your fairy tale is now a reality! Enter: this casserole. Spaghetti squash, buffalo sauce, chicken breast, carrots, onions, garlic. INTO IT. This dish is a perfect “make ahead” meal that can be taken to work for lunch or eaten throughout the week for dinner. Ryan and I love to pre-make it on Sunday and eat it for dinner during the week with a dollop of Primal Kitchen Mayo on top. So tasty! As a note, feel free to play around with the proportions of spaghetti squash, chicken, and buffalo sauce. This recipe is my personal preference, but the primary ingredients can be altered a bit. If you like spicy food or are a big fan of buffalo sauce, I’d suggest increasing the buffalo sauce to 1 cup. 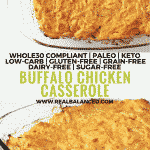 This casserole is Whole30 compliant, paleo, keto, low-carb, nut-free, gluten-free, grain-free, dairy-free, sugar-free, and macro friendly! 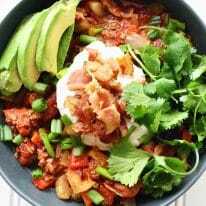 Click here for all my delicious, super simple healthy recipes! 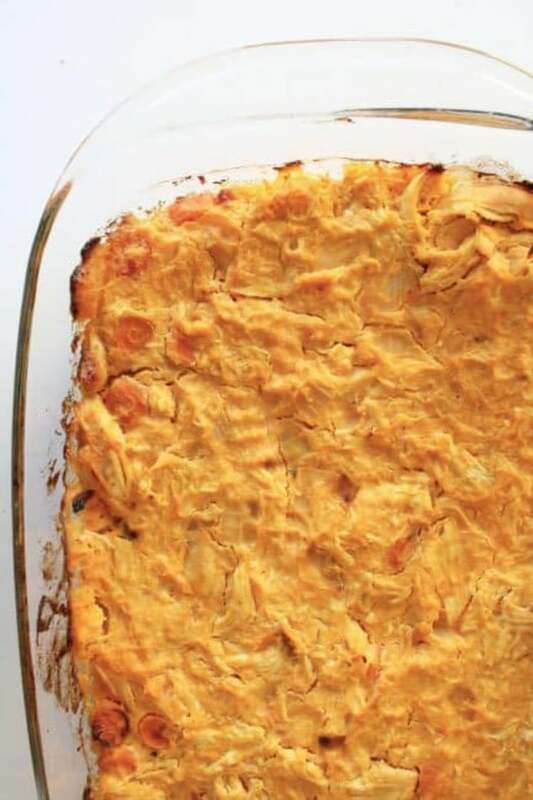 This Buffalo Chicken Casserole is a delicious and satiating weeknight meal option that the whole family is sure to love! 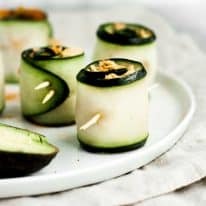 This recipe is Whole30-compliant, paleo, keto, low-carb, nut-free, gluten-free, grain-free, dairy-free, sugar-free, and macro friendly! Preheat oven to 400 degrees and spray casserole pan with cooking spray. In a medium pan, sauté onions and carrots until translucent, about 6-7 minutes. While vegetables are cooking, in a large bowl and with a clean dishrag, squeeze moisture out of spaghetti squash. Add onions, carrots, and all other remaining ingredients to bowl of spaghetti squash. Stir until well-combined. Pour mixture into casserole pan, bake for 35 minutes, and enjoy!